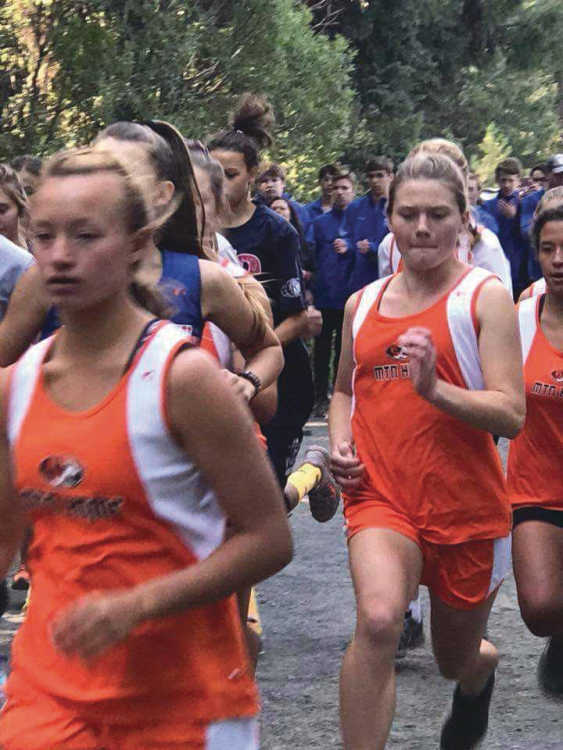 Lady Tigers (left to right) Hannah Brown, Rachel Lampman and Camille Ochoa run in a tight pack at a meet in McCall ID. The Mountain Home High School Cross Country team traveled to Soda Springs on Sept. 1 to compete in the Cardinal Classic. at the Kelly Park Nordic Ski Trails. The Tigers put in a good effort in the event that saw schools from all over. Among the teams that competed from the Great Basin Conference the Lady Tigers took the top spot followed by Preston and Century. In a meet that had 23 girl's varsity teams and a total of 156 athletes competing the girls ended up in 15th place overall.